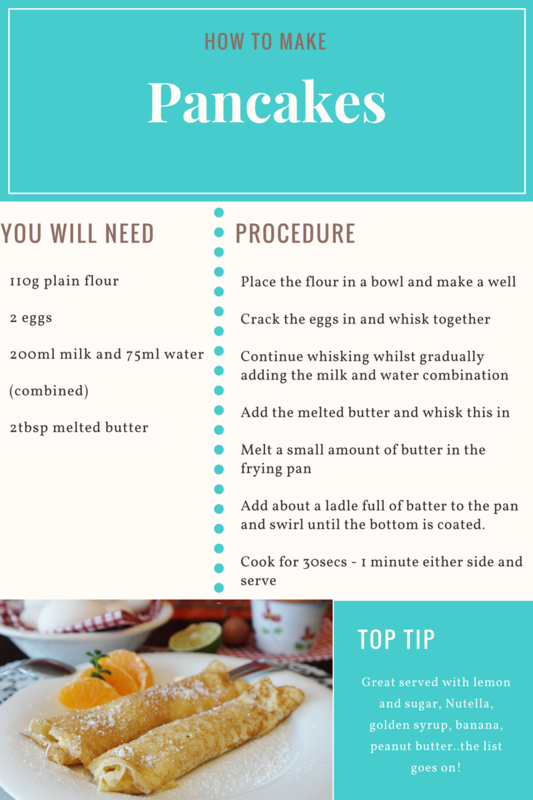 As pancake day is tomorrow, I thought I would share my favourite pancake recipe. I love pancakes. They’re something I enjoy all year round, not just on Shrove Tuesday. My husband doesn’t like them, so it means when I make them I pretty much get the whole lot to myself! Obviously now Oliver is around he will enjoy one too, but I still get plenty to myself. 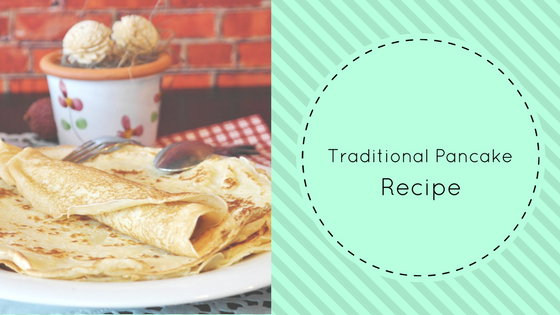 I enjoy both american style pancakes and traditional pancakes Generally if making american style I would top with golden syrup or maple syrup. Although they are also great with a raspberry coulis or bacon! When I make traditional pancakes I usually stick with the classic, lemon and sugar. However I do really love them with Nutella, and with a bit of banana added in they are just delicious! I’ve never tried a savoury pancake, I’m a bit scared to try them, to me they seem like they should be sweet. I have given Oliver one with cream cheese, which he seemed to enjoy. Add about a ladle full of batter to the pan and swirl until the bottom is coated. I have added a pinnable recipe card if you wanted to save the recipe.